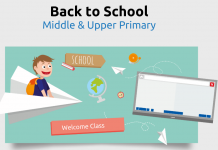 In this lesson, students will learn how to read the Roman numerals. ACLITU038 | Content description | Years 3 and 4 | Italian | Years F–10 Sequence | Understanding | Role of language and culture. Focus: Students attention at the smart board showing the Visual Roman Numeral Converter. Engage: Tell students today we will learn how to read and convert the Roman Numerals to Arabic numbers and vice versa through the use of a visual Roman Numeral Converter. 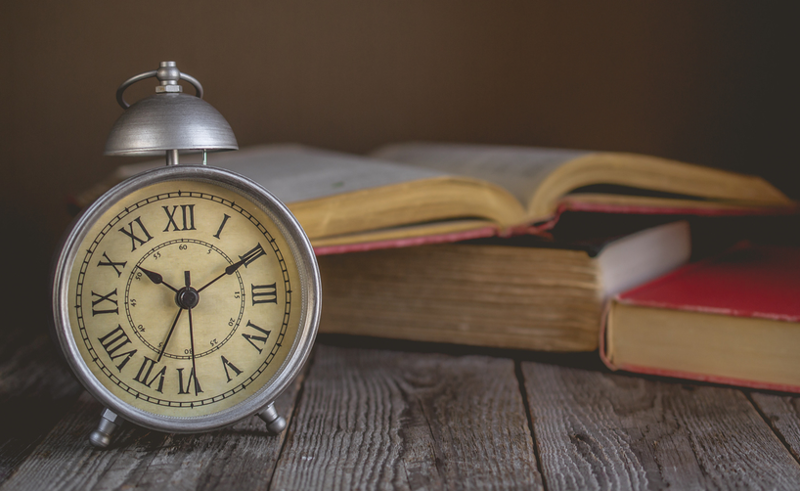 Share with students that you’re going to give them the secret tricks on how to read the Roman numerals easily. 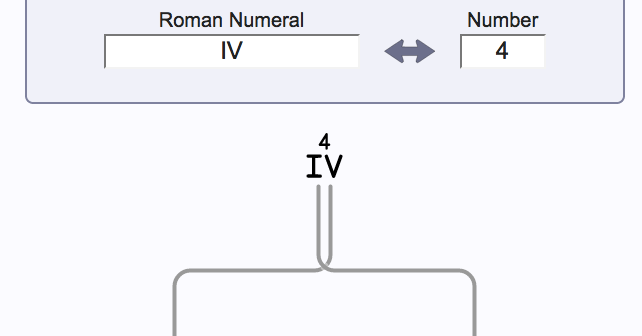 What Symbols are used for Roman Numerals? Roman numerals, as used today, are based on these seven symbols. Memorize the basic Roman numeral symbols and their values. If the value of the current symbol is less than the next one, subtract the current symbol’s value from the next symbol’s value and add the result to the total. 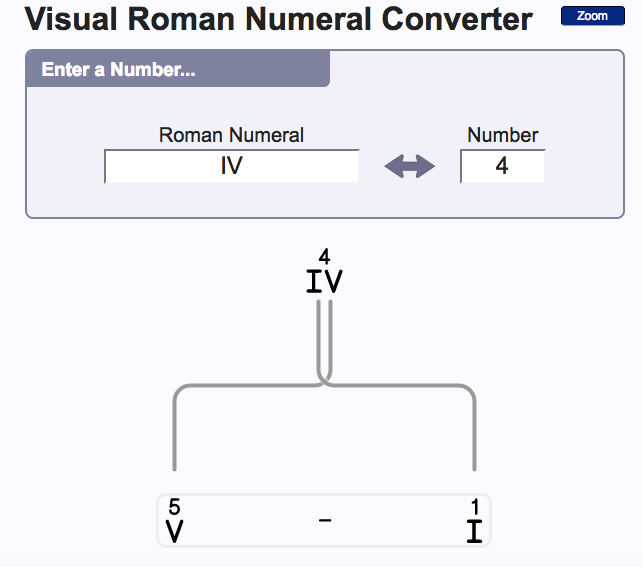 Now, let’s use the converter while learning the basics of Roman numeral system. Input the numbers in the converter while discussing the lesson. 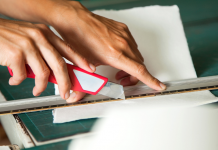 I – The easiest way to note down a number is to make that many marks – little I’s. Thus I means 1, II means 2, III means 3. However, four strokes seemed like too many…. V – So the Romans moved on to the symbol for 5 – V. Placing I in front of the V — or placing any smaller number in front of any larger number — indicates subtraction. So IV means 4. After V comes a series of additions – VI means 6, VII means 7, VIII means 8. X – X means 10. But wait — what about 9? Same deal. IX means to subtract I from X, leaving 9. Numbers in the teens, twenties and thirties follow the same form as the first set, only with X’s indicating the number of tens. So XXXI is 31, and XXIV is 24. L – L means 50. Based on what you’ve learned, I bet you can figure out what 40 is. If you guessed XL, you’re right = 10 subtracted from 50. And thus 60, 70, and 80 are LX, LXX and LXXX. C – C means 100. 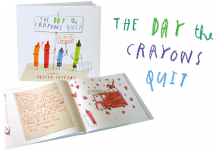 The subtraction rule means 90 is written as XC. Like the X’s and L’s, the C’s are tacked on to the beginning of numbers to indicate how many hundreds there are: CCCXXIX is 329. D – D stands for 500. As you can probably guess by this time, CD means 400. So CDXXXV is 435. M – M is 1,000. You see a lot of Ms because Roman numerals are used a lot to indicate dates. For instance, how do you write 1979 in Roman numeral form? Input “1979” in the number box of the converter. You will see that 1979 is MCMLXXIX. Input the number “4” in the number box of the converter. 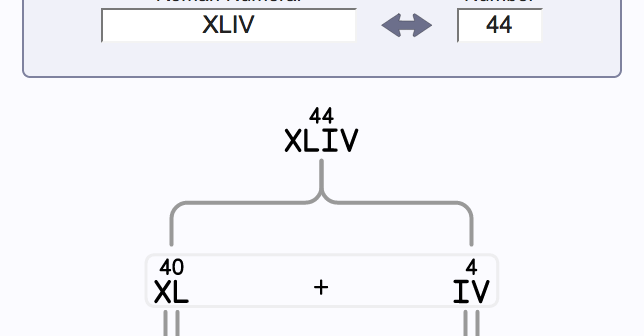 What the the converter is showing is how the number 4 (IV) is expressed in Roman numerals as 5 minus 1. The value of the ‘I’ preceding the ‘V’ is what triggers that last rule, where when you read the symbols from left-to-right, if you encounter a symbol with a larger value you need to subtract. Input the number “44” in the number box of the converter. The number 44 (XLIV) is expressed in Roman numerals as 40 plus 4, where 40 is expressed as 50 minus 10 and 4 is expressed as 4 minus 1. Get certain students to try the Roman Numeral Converter and let them ask questions about it. Distribute Roman numeral worksheets and let the students answer them. 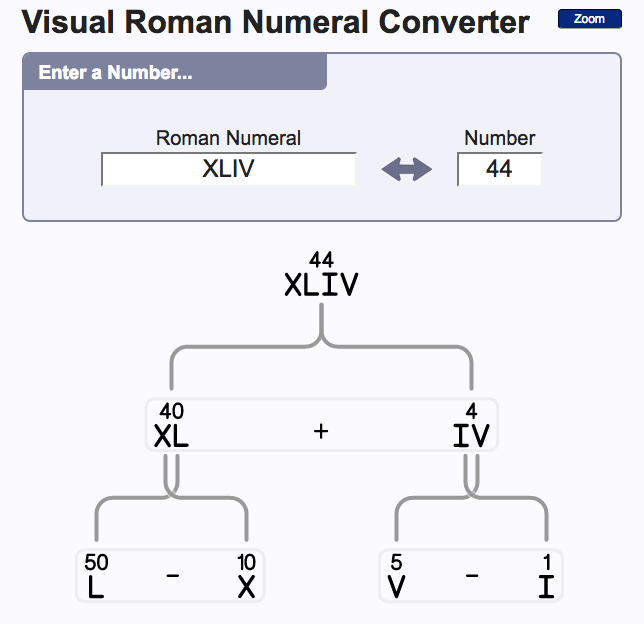 Use the Roman Numeral converter to check the worksheets.